Just a quick post to share the shows I'm watching that are helping me de-stress from my new role at work and life, especially as I take some much needed time off from reading (who would ever have thought that). My new favorite show, I think, just based on its premiere this past Saturday night. 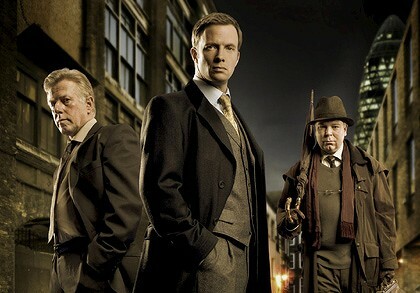 This mini-series is set about six months after the Ripper murders. The dynamic of the three main characters (the Inspector, his morally pure and tough sergeant, and an American doctor with too many secrets) is delightfully unique and, of course, the deep dark mystery of the first episode was uncomfortable and engaging. Looking forward to seeing more this Saturday. I just caught up to season three, and this was a much better season than the one prior. Set in modern day London, Detective Inspector Joe Chandler battles daily with OCD and his Detective Sergeant Ray Miles, who initially cannot stand the peculiarities of his new boss, along with self-professed Ripperologist, Edward Buchanan. Managing the activities in the same Whitechapel district of Jack the Ripper, their first case dealt with a copycat killer in season one (only three episodes), which was superbly creepy. Season two wasn't bad, but not my favorite, however the most recent one was six episodes long and had a new case every two episodes. It was absolutely spooky. Season four is secured and should be released sometime this year. Well, of course I'm watching Downton. Who isn't? This is the first time, though, that I'm watching it weekly versus catching up all at once six months later. The life and times of the fictional aristocratic Crawley family in the pre-World War II era are depicted, along with their servants (some loyal, some devious) is surprisingly interesting. Evening soap opera, I guess? Dunno, but I dig it. Well, I'm finally catching up on season two. Love this show. 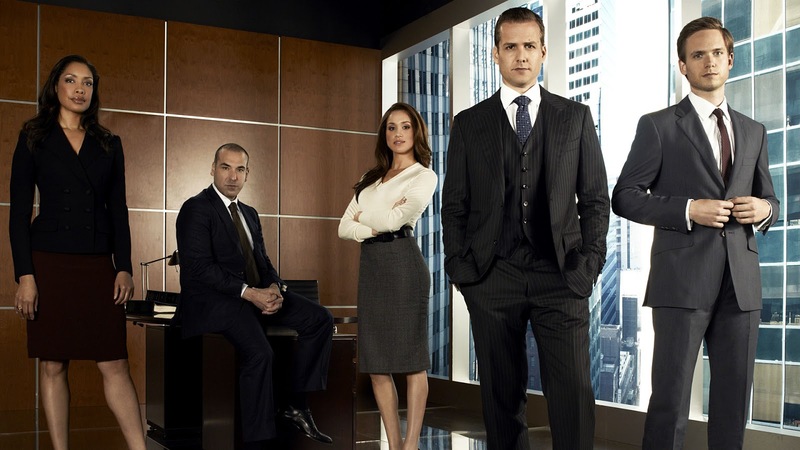 Mike and Harvey are perfectly cast as the unlikely duo at the premiere Manhattan law firm. Mike is brilliant, with a photographic memory to die for. Although he doesn't hold a degree from Harvard Law, he passes it off as though he does in order to secure the job. Harvey Spector, senior partner and Mike's mentor, knows all about Mike's lie and while he might be a wee bit of a snake, he ultimately has integrity even while constantly taking risks to keep life interesting. With a surprising cast of actors who knock it out of the park, my personal favorites are the boss, Jessica Pearson (who many of you know from the movie Serenity, or from the tv series Firefly) and Louis Litt, the overly eager and socially ignorant junior partner. Someone give Louis a hug and a chance to be with the in-crowd! He might be annoying, but I think his heart is in the right place and if you don't welcome him onto your team soon, his brilliance is going to go to the dark side. I'm currently catching up to the part in season two when we all want to #savedonna, Harvey's fantastic gatekeeper and redheaded legal secretary, Mad Men-esque, Donna Paulson. What shows are you watching that I need to add to my list? I forge to check out the shows on BBC too! 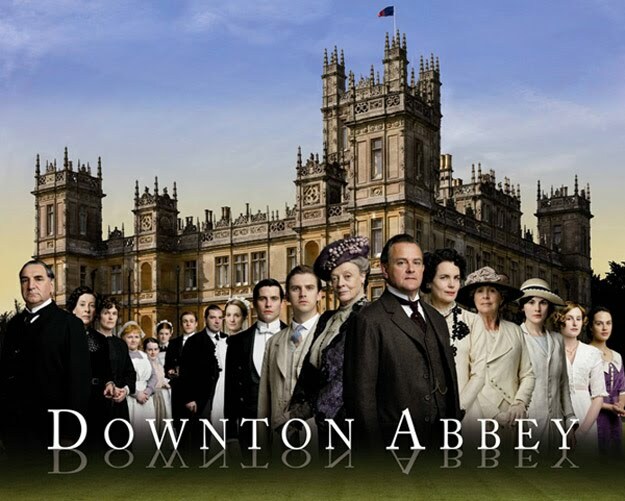 I caught up on two seasons of Downton Abbey after finally giving in to it and now am watching Season 3 with the rest of the world. My oldest daughter loves Sherlock and I love Homeland...have you seen either one? Homeland is addictive! O they all look so good. I need to try Ripper Street. Thanks for the recommendations! I am a huge British TV fan and have not heard of Whitechapel- it sounds great and I'm excited to be turned on to something new. 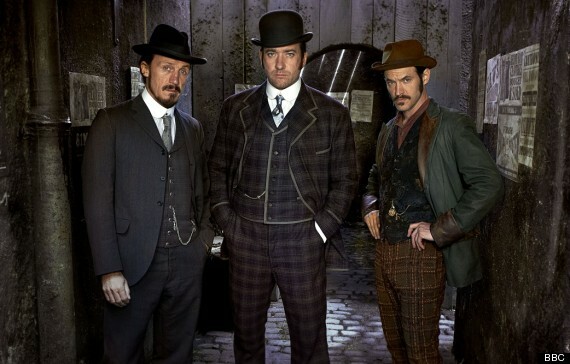 I am really excited about Ripper Street because it sounds interesting and I LOVE Matthew MacFadyen. Unfortunately I don't watch a lot of TV "as its happening" but, as you mention, 6 months (or much more) later so I don't have any current recommendations. Sticking with the British TV theme, I really love Doctor Who and Sherlock and I just discovered through Netflix streaming The Vicar of Dibley which was way more hilarious than I was expecting. Are you hiding in my DVR? I've been watching all of these. I think I watch all the USA scripted shows. BBC's Being Human is an excellent series, and I think all 4 seasons are on Netflix streaming. MI-5/Spooks is an excellent series about spies, I've been working my way through all 10 seasons. It has Matthew McFadyen, Keely Hawes, Rupert Penry Jones, and Richard Armitage, so if you are fond of the actors, you should check it out. I've been watching them too love those series and can't wait for it to have them on DVD's and re-watched them on marathon. Ripper looks amazing! I have to check it out. I also love Ripper Street. The accents are a little tough at first, but then it's all good. And Downton Abbey, what else can I add? Hope you can de-stress this coming weekend! Very nice book. I am very interested about online books and I am searching about the gymnastics books. I already posted a comment in January but I am just stopping by to say Hi. Haven't seen you around the blogashphere lately. I fell ill early Feb so I hope you didn't catch what I had. Never heard of Ripper Street, but then I realized our cable doesn't offer BBC.